This Item The item include about 1pcs 7'' bracelet and 1pcs pouch, you will receive the similar item as picture, pls note the stone is unique, the color and detail on stone will be different for each other. All hand-woven products are exclusively custom made by Amandastone store. Make the best possible selection of fine material, delicate weaving. Perhaps you see a similar bracelet have different prices, but we only care about the quality of goods and services. Amandastone Jewelery Thank you for visiting Amandastone Store, we mainly Gemstone Pendant Necklaces and Fashion Bracelet Jewelry. Please add the item in your wish list if you like it, you will get informed once it has discount. You may click our brand name to see more product we listed, or search our brand name. If you want to customize your bracelet please contact us by by Amazon mail. Enjoy in my store! Each bracelet is a handmade item. We create all of our jewelry pieces with love and care specially for you. SX Bracelet: Best Bracelet Choice You Could Never Miss SX Bracelet are committed to providing you with the latest and most popular Bracelet at affordable price. We attach great importance to customer experience and striving for 100% customer satisfaction. Find beautiful jewelry that highlight your charm or a special gift for your loved one from SX Bracelet. SX Commerce Real Natural Matte Black Onyx Stone Bead Bracelet with Unique Tiger Eyes - Fashion Jewelry for unisex-adult size 8mm 26grain Width: 8 mm. 100% handmade string the beads together one by one. The beads are nice， and on an elastic band, Many kinds of beads have different features All in all, it is a great gift for you, family, or friend and suitable for holiday, birthday, or Valentine's Day. If you like it, pls take it home. Why choose SX Bracelet? 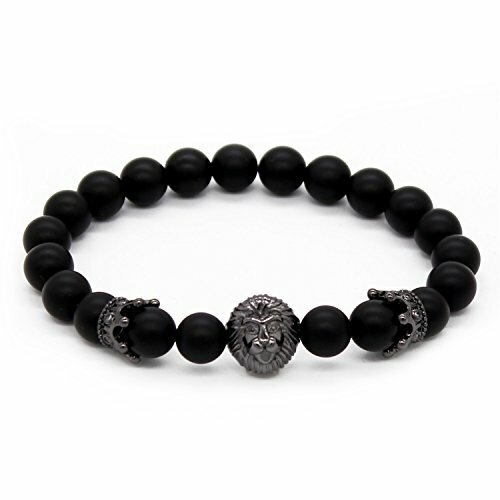 This is a fashionable brand, which is designed to create suitable bracelet for all kinds of people, and every Bracelet contains blessings, so all the people who wear it will get a blessing. Hope we can make a smile on your face! Description: All natural stones are unique. Please note that you will receive ONE strand similar but not identical to the one in photos. The colors and patterns of each item can vary due to lighting and monitor display. We use all pure natural beads, colors balanced , soft touch. 100% handmade, good quality guarantee. This enchanting stretch bracelet uses the contrast of the dark natural Onyx and with sparkling clear crystals to bring you an unforgettable piece of jewelry. Stretch bracelets are extremely versatile and durable. This natural Onyx and stretch bracelet will go well with almost any outfit combination you can imagine. 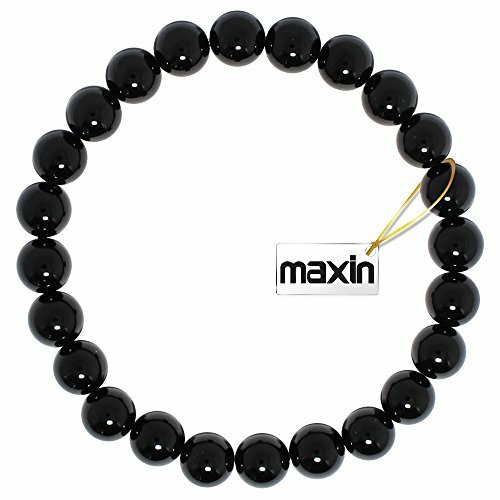 The colors are a classic combination very bold and timeless this black Onyx crystal bracelet will be a hit every time. 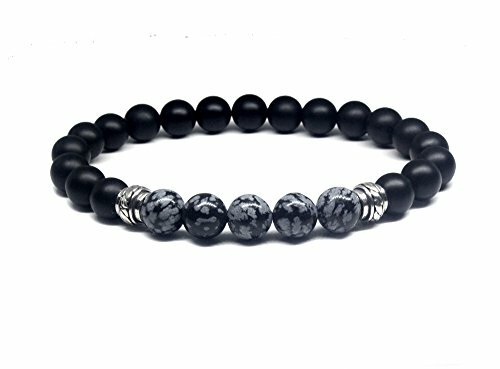 Some cheap stretch bracelets might snap or break easily but these natural Onyx stretch bracelets are made from quality materials and are made to last. 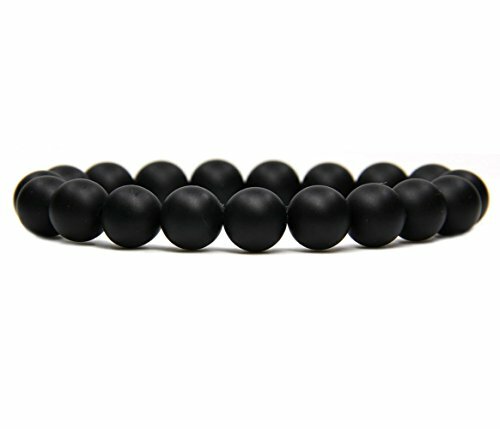 This premium quality men's bracelet features 8mm matte black onyx beads with 8mm snowflake obsidian beads accented with two 8mm solid sterling silver Bali beads. We use silicon stretch cord for superior strength and durability. Your bracelet comes in a black satin pouch. The size is 8 inches, which is to fit a medium size man's wrist. 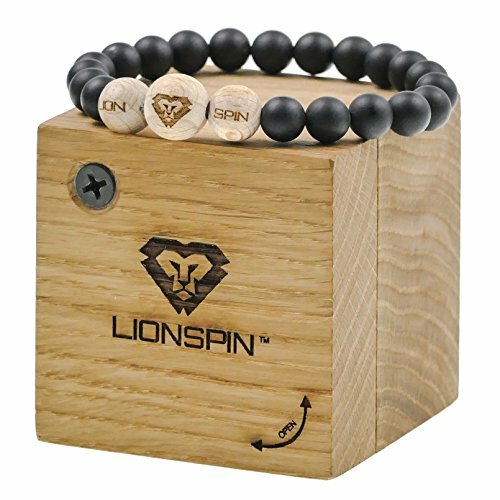 SPIN YOUR WAY TO THE TOP AND SHARPEN YOUR FOCUS LIONSPIN IS A LUXURY-CLASS AND MINIMALIST BRACELET THAT RIVALS ALL OTHERS IN DESIGN, VALUE, AND APPEARANCE. USE IT TO AID IN THE MANAGEMENT OF STRESS, AND TO INCREASE FOCUS AND WELLBEING. Origin of gemstone: Brazil Origin of wood: Czech Republic Hand-Crafted in: Czech Republic Onyx properties: A stone of protection, it defends against negativity. Promotes harmony in relationships. Relives grief & strengthens confidence. Increases concentration. 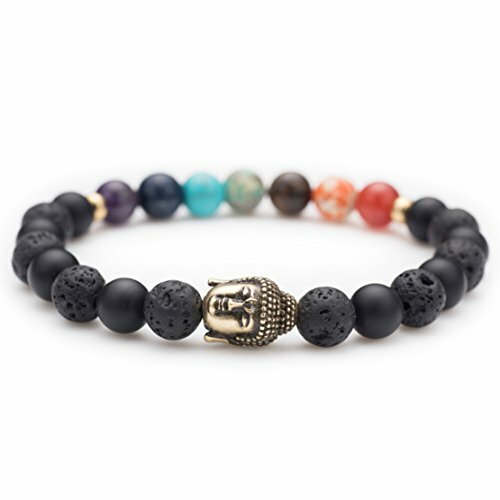 Encourages happiness & good fortune. Bracelet dimensions: Inner lenght is 6.7 inches (17 cm) Currently fits up to 7.5 inch (19 cm) wrist, however with additional beads you can re-strung bracelet and get inner lenght 8.3 inches (21 cm) which fits to any wrist you need.. Diameter of beads: 8 mm Package comes with: Oak tree gift box Handmade bracelet (20 onyx beads, 3 beech beads) 1 additional elastic string 5 additional gemstone beads Designed and assembled by hand in Europe. POSHFEEL isn't just a fashion boutique that sells jewelry and watches.We are a brand,a lifestyle that promotes power,style and a statement for everyone from the business man on wall street to the artist setting up shop or busking on the sidewalk. Together,we are united with the high quality of POSHFEEL. The POSHFEEL team hopes that you will be the tasteful one among your peers,the one that stands out from the many,the one that's POSHFEEL. Be different.Be you.Buy POSHFEEL. 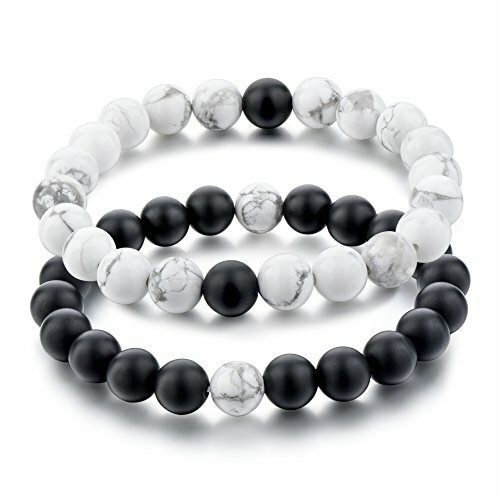 Couples His and Hers Bracelet Black Matte Agate & White Howlite 8mm Beads By Long Way 7.1"&7.5"
Those who had the distance bracelets: Perfect for friends going away for college! Best long distance relationship bracelets I've seen that I NEED Stay connected wherever you are! Now I want one of those distance bracelets really bad what is wrong with me I'll always have a piece of you with me Natalie is buying us long distance friendship bracelets I'm crying Nick got us distance bracelets! Excuse me while I cry!! When hannah and i buy the distance bracelets even though we see each other every day Dennis got us distance bracelets and they are the cutest things ever!!! Trent and I are ordering "distance bracelets" because he's about to leave for college. 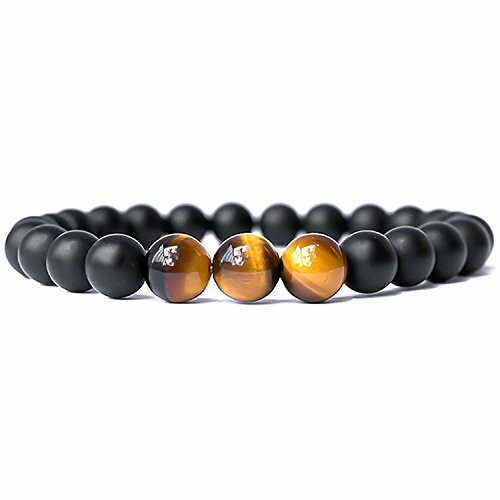 Learn to make simple black onyx and tiger's eye bracelet! 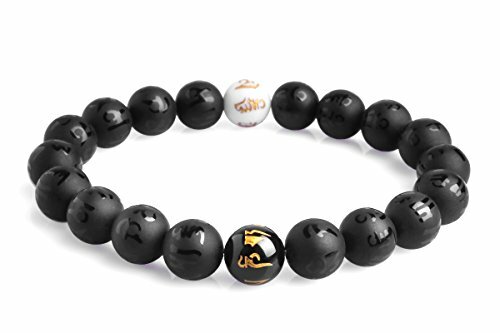 Compare prices on Black Onyx Bead Bracelet at ShopPlanetUp.com – use promo codes and coupons for best offers and deals. We work hard to get you amazing deals and collect all available offers online and represent it in one place for the customers. Now our visitors can leverage benefits of big brands and heavy discounts available for that day and for famous brands.